The Fiklabb is a strange mutant hybrid between a type of ancient shark and giant Alaskan king crab. 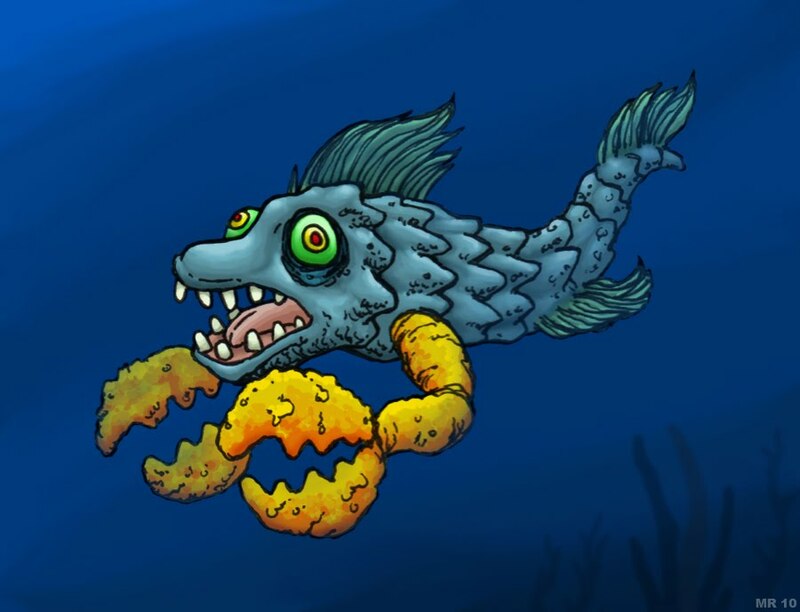 The creatures are a result of mutations from illegal toxic waste dumping off the coast of Alaska by private energy companies in collusion with a corrupt governor looking to develop Alaska's protected coastal wildlife areas. Fiklabbs are now blamed for dozens of deaths per year, as the huge claws seem perfectly adapted at plucking the stray fisherman or passenger off of passing watercraft.